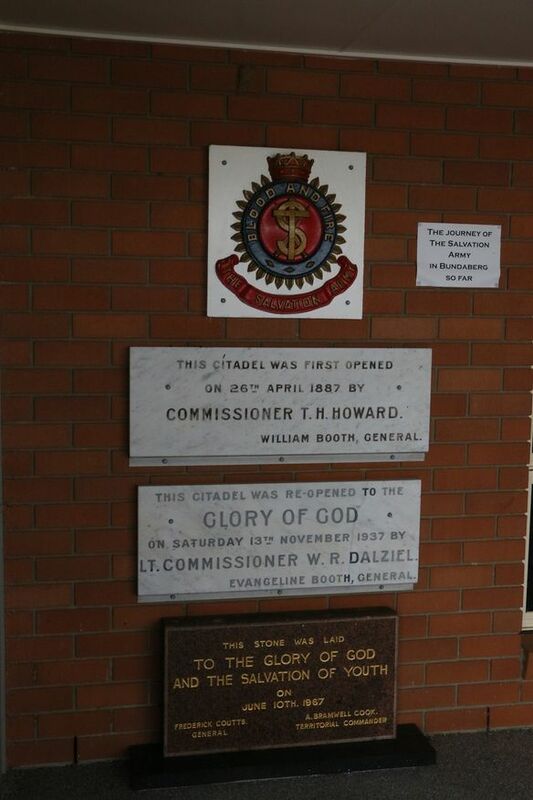 A tablet records: This Citadel was first opened - on 26th April 1887 by - Commissioner T H Howard - William Booth, General. A tablet records: This Citadel was re-opened to the - Glory of God - on Saturday 13th November 1937 by - Lt Commissionsr W R Dalziel ~ Evangeline Booth, General. A stone records: This stone was laid - to the Glory of God - and the salvation of youth - on - June 10th 1967 - Frederick Coutts, General ~ A Bramwell Cook - Territorial Commander. 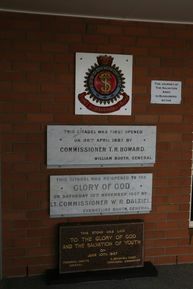 A plaque records: The Salvation Army - This building was opened and dedicated - to the Glory of God - and - service to the community - by - Commissionsr James Condon - on 9 May 2015 - Andre Cox, General ~ James Condon, Territorial Commander. 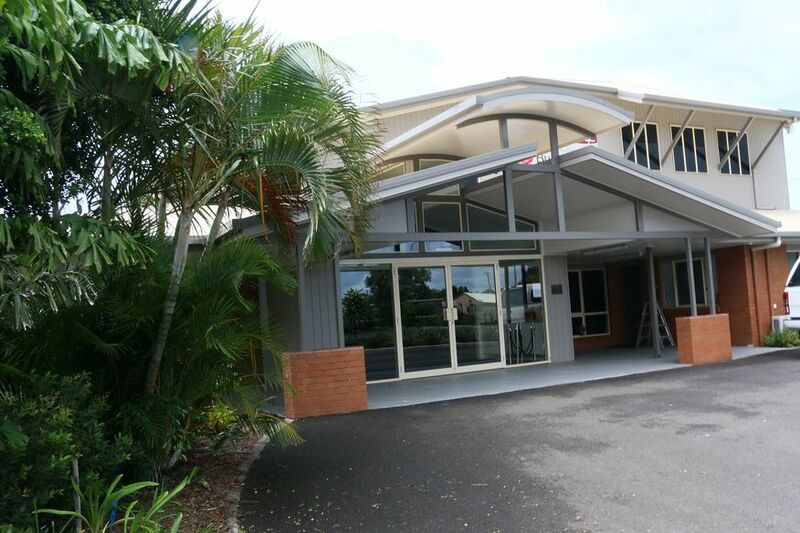 No other details are known about The Salvation Army, Bundaberg. More historical information/photographs of the church/congregation are invited. Photographs uploaded 26/4/2018.